Passionate about making healthier recipes from scratch, mostly organically! Leftover corned beef? Reuben Sandwich! 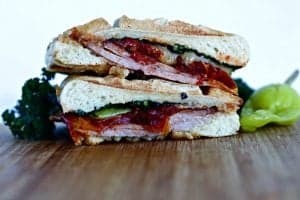 Make this incredible hot sandwich for a change up in your lunch or dinner menu. 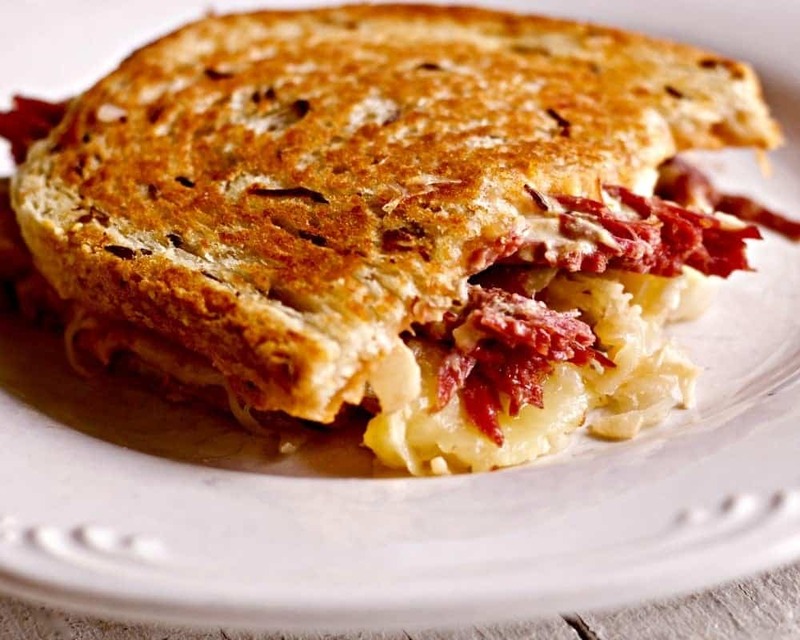 The Delicious meal replacing hearty Reuben Sandwich is a hot grilled sandwich that will fill you up and satisfy. So this is a quick easy meal between two slices of bread. With a combination of Swiss Cheese, corned beef, mustard, piquant sauerkraut and delicious 1000 Island dressing on rye bread. The Reuben Sandwich is a beautiful mess of flavors and textures. The Classic Reuben sandwich is now a favorite in our family memory. We will recreate this one a LOT in our future. Our youngest son hosted a family movie night. The party grew until his home was bursting at the seams with our extended family Three generations of viewers crammed themselves into the living room. We all had an enormously good time and grilled Reuben sandwiches for everyone. Reuben sandwiches are the perfect party food for a TV event. It was SO fun! And WHAT a Sandwich!! Yowsa that’s good stuff! We ate Red Cabbage Carrot Salad, chips and Feasted on hearty Reuben sandwiches. Brownies and blueberry Lime pie for dessert. 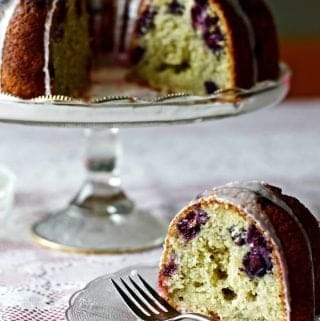 Completely delicious! 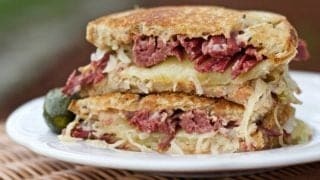 We used up some our leftover St. Patrick’s Day Instant Pot Corned beef to make our Reuben Sandwiches for the party. The instant pot is a wonderful tool for cooking corned beef. 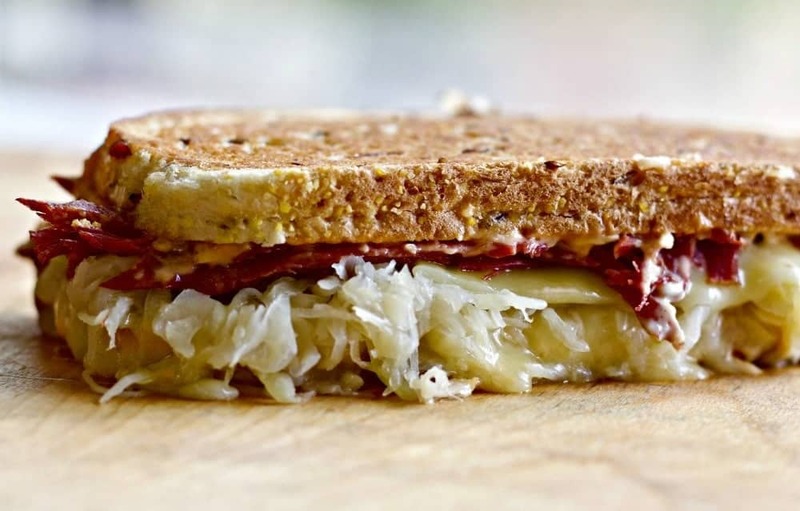 We loved the corned beef flavor bursting through the sauerkraut and Swiss! The remaining corned beef leftovers made us Corned beef Hash and Eggs for breakfast the next day. The Reuben sandwich is a messy choice. Bring the napkins to the table. 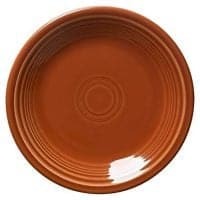 And a plate. You will need them. Stuffed with melty swiss cheese, tangy mustard and sauerkraut. Where’s the beef? This Traditional American Corned Beef Recipe became a hit in the early 20th century. It’s now as traditional as apple pie. Corned beef season just begs for this sandwich. It’s a messy, juicy sandwich devoured all over the country in diners and homes. 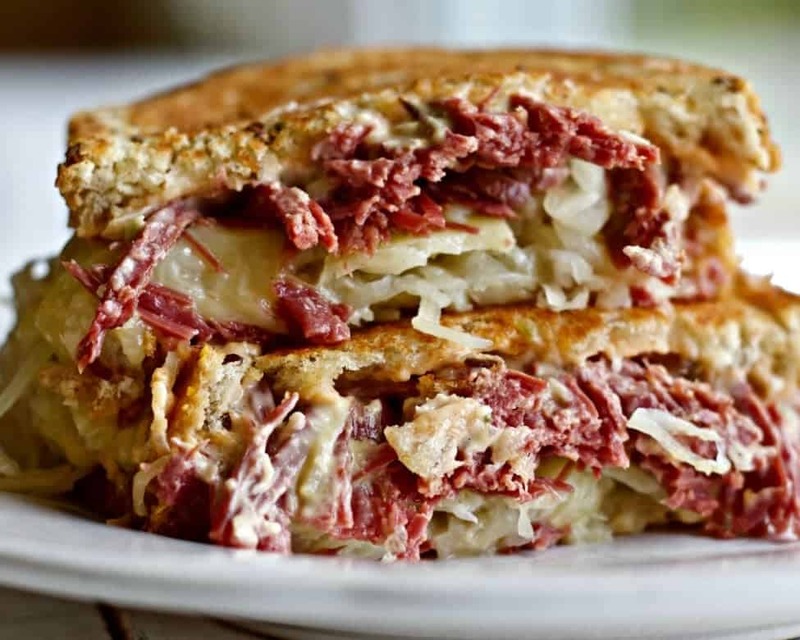 Reubens were considered an Irish sandwich in my family but Wikipedia says different. 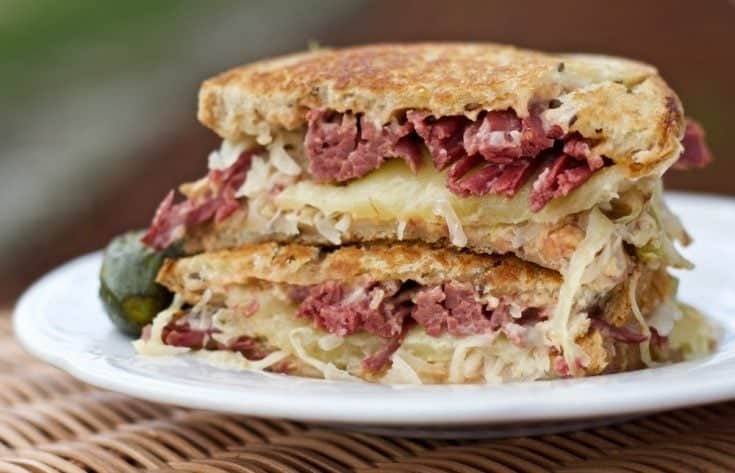 The story goes that a man (named Rueben) in Omaha Nebraska invented it one night for his friends at a poker game. Definitely man food. This MIGHT be the original Manwich. Although I ate the one you are seeing in this post. It dripped all over me and entangled my fingers and I loved it! Stuffed full of corned beef and sauerkraut. Dripping with sauce and melty swiss cheese. So yum! I can just see a group of guys harfing down on a plate of this crusty handful of meaty bliss. At least that’s what happened to us last weekend. Satisfied appetites and dirty napkins. Everything you will need to make this sandwich is right here. Except the griddle! The sandwiches can be cut into quarters and placed on a sandwich tray to pass around for parties. A little bit goes a long way as these are rather…sustaining. Definitely a delicious meal in a sandwich right here! If you purchase Items From our affiliate links we may receive a small commission at no extra charge to you. Thank you for supporting Homemade Food Junkie. If you want to cut down the size of this monster, make is on a croissant instead. 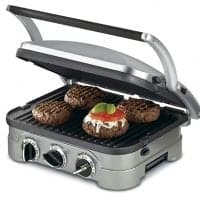 This Might work best on a sandwich maker so you don’t have to flip em. Are you out of fresh cooked corned beef? 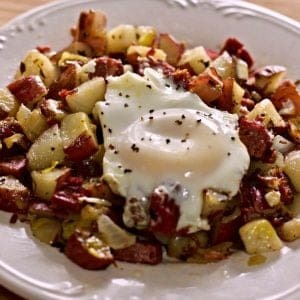 Use Pastrami for a close match (although the pastrami is a bit more peppery)in flavor. We loved our Reubens with pepperoncini chopped into the sauerkraut. Just sayin. Looking rather well behaved fresh off the griddle. Don’t be fooled. Grab a napkin and eat it over the plate! 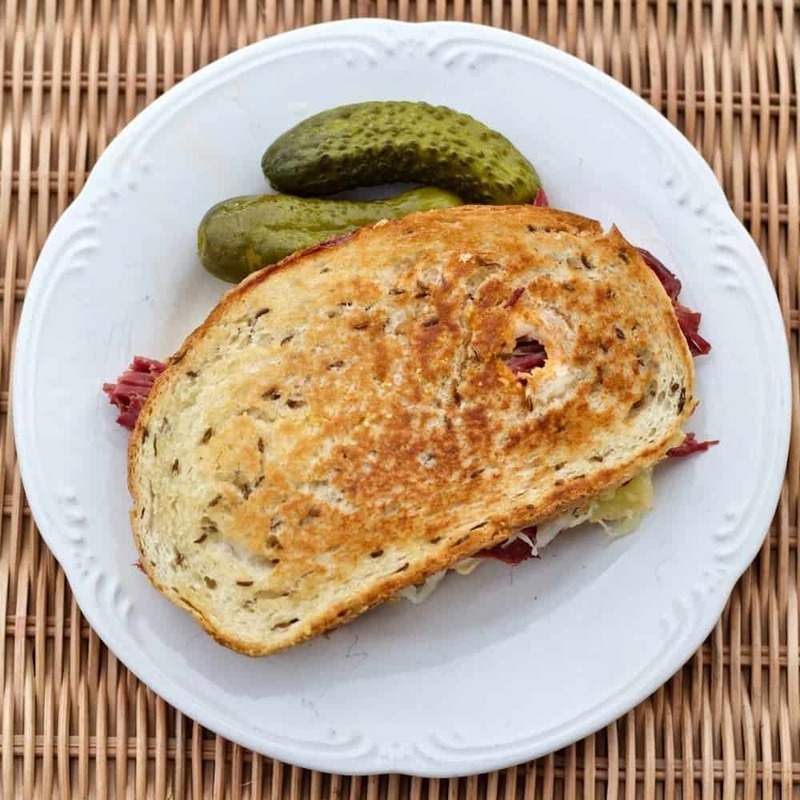 The Reuben Sandwich is a hot grilled combination of Swiss Cheese, corned beef, mustard, piquant sauerkraut and delicious dressing on rye bread. Great party food or a filling lunch or dinner. 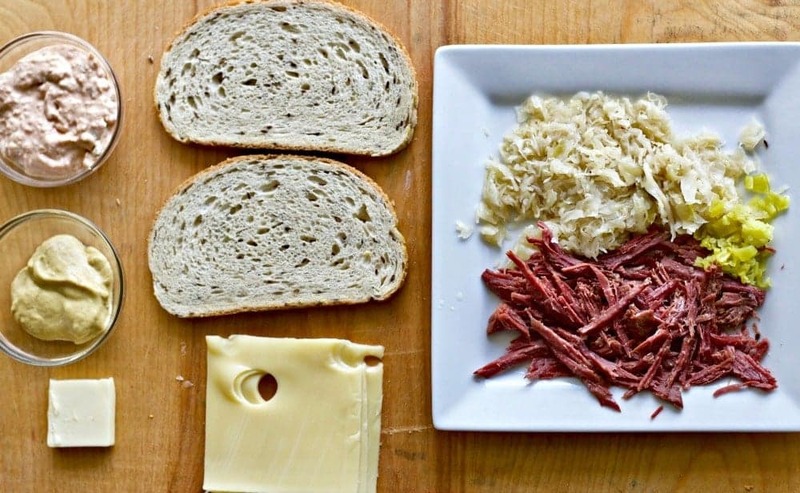 heat the sauerkraut and corned beef and keep warm. spread the 1000 island dressing on the other side of the two pieces of bread. Cover with the other piece of prepared bread and put into the skillet. cook a few more minutes until the sandwich is golden on both sides and the cheese is melty. 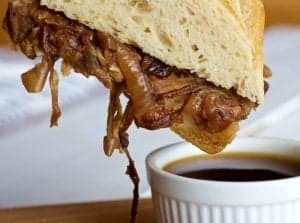 Crock pot French Dip Sandwich Another classic American favorite beef sandwich. Easy crockpot directions and a cajun twist! Waffled Torta Ham Sandwich My own creation. Filling and delicious! Waffled Torta Ham Sandwich is full of flavorful good ingredients. Perfect for a hungry family week end lunch! 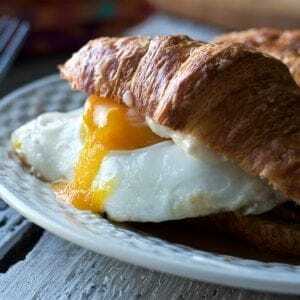 Bacon and Egg Croissants make a delicious breakfast sandwich. PLEASE COMMENT, RATE AND SHARE THIS POST WITH YOUR FRIENDS! We here at homemade Food Junkie appreciate all well meant feedback on our posts. You help us make better recipes, DIY and Garden posts with your input. And you help other readers with your experience with our content. Thank you! Hi Reg, The Reuben sandwich is hard to beat! I’m glad you could make it work for your personal style. And YAY that your wife enjoyed it too. Thank you for stopping by and letting us know how you enjoyed this iconic sandwich!Have a great day! Welcome To Homemade Food Junkie! 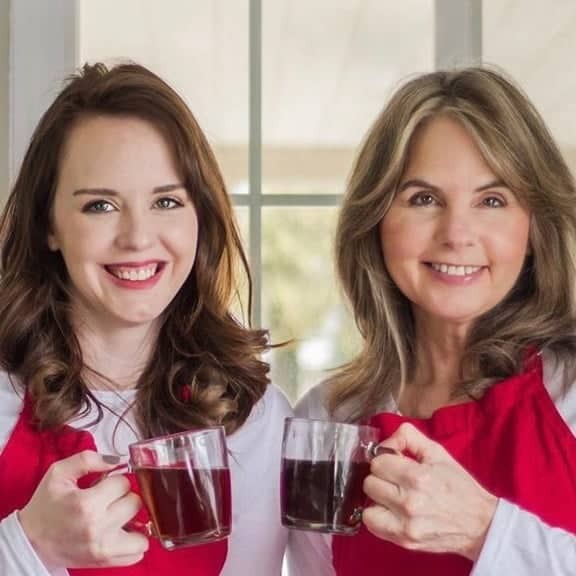 We are a Mother Daughter team sharing Recipes, Garden tips and DIY ideas. Join us in our journey to live better and eat healthier. Subscribe to Homemade Food Junkie and Get our Free Cookbook and Weekly Newsletter! Subscribe to Our Newsletter for recipes, DIY and Garden Tips Delivered to your inbox every Monday! Looking for Something? 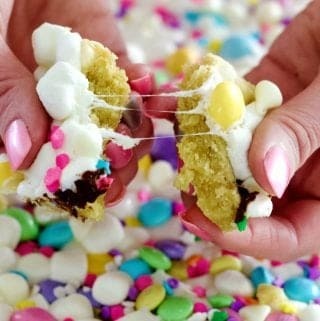 Search Homemade Food Junkie! We love your interest in our work. 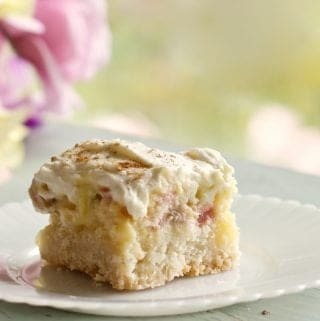 Please enjoy our pictures, posts and recipes. 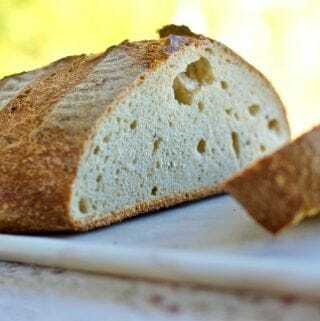 We hope you find Homemade Food Junkie helpful and informative.